Quadrant 3 is a mixed-use development covering an entire city block right in the centre of London. With The Crown Estate being the client, high quality to enhance and improve the environment were key drivers of the project. 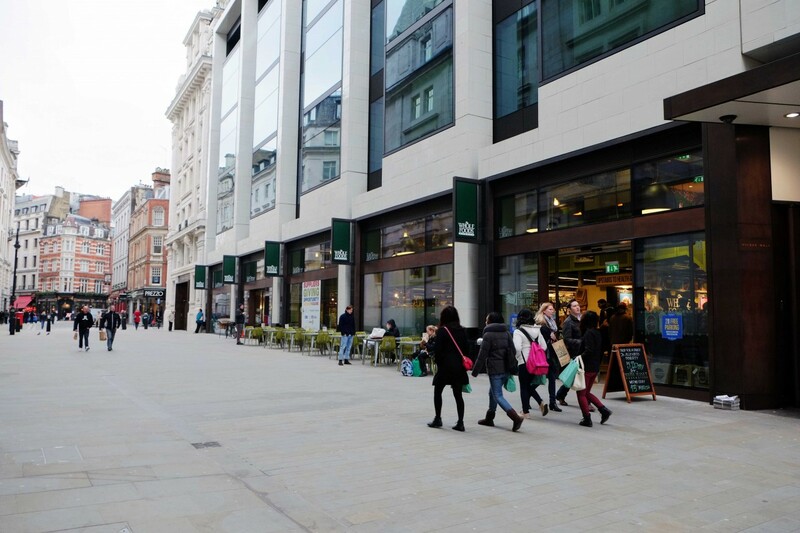 This was part of their £1 billion regeneration programme for Regent Street. 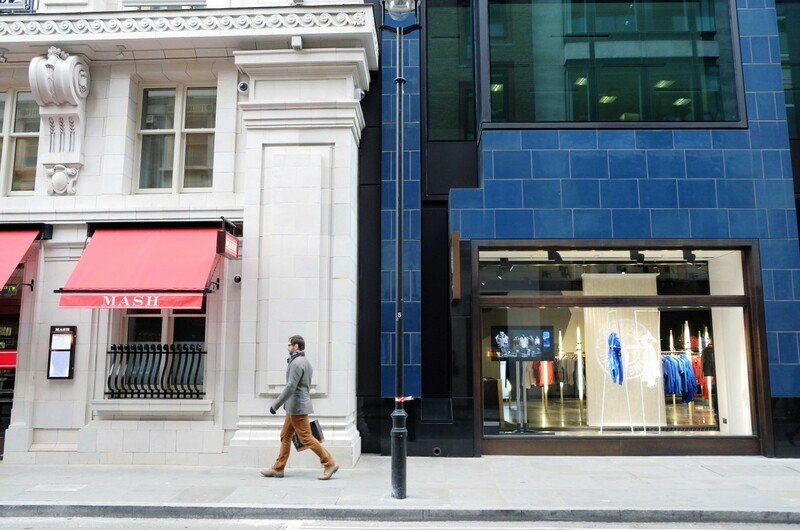 Located on the cusp of the high-end Regent Street on one side and the beginning of Soho on the other, the scheme comprises a vibrant mix of retail, restaurants, residential and office space. 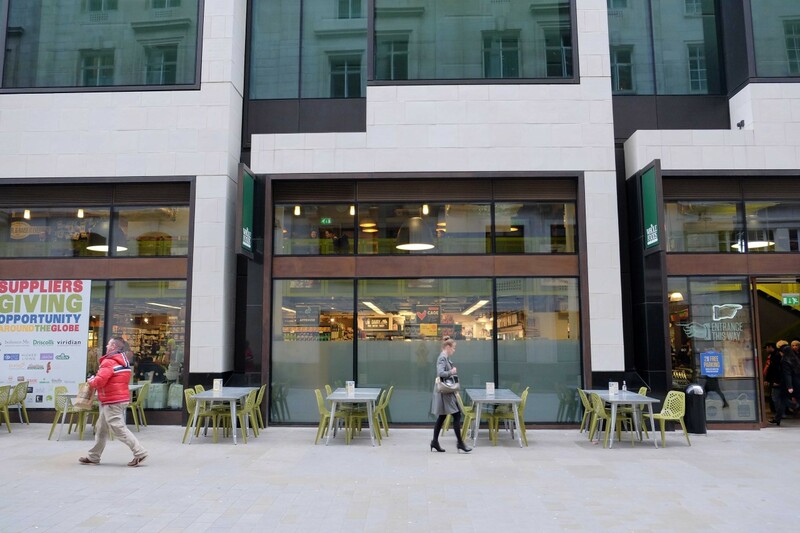 The layout of the building contributed significantly to the improvement of the public realm by introducing active street frontages, allowing for the café culture of Whole Foods Market and Brasserie Zedel to spill out around it, by pedestrianizing Glasshouse Street and by the creation of Wilder Walk – a small lane with mirrored ceilings and a light and glass art installation that evokes the sense of a secret find by the pedestrian exploring the city. The contemporary architecture with the complexities of a highly technical façade is a clever intervention into the existing neoclassical Grade II Listed historic fabric. 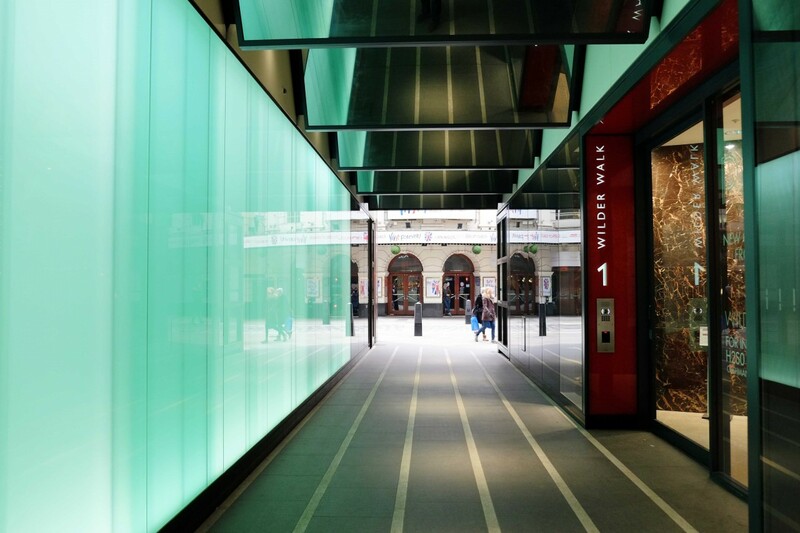 The rich retained Edwardian facades form the book-ends to bespoke hues of the new hand-made faience, the textures and undulations of which contrast sharply with the sleek engineering of aluminium and reflective glass. Shabnam worked on the highly technical façade packages for this project alongside its Swiss manufacturers and contractors, taking it from Stage D through to Completion. 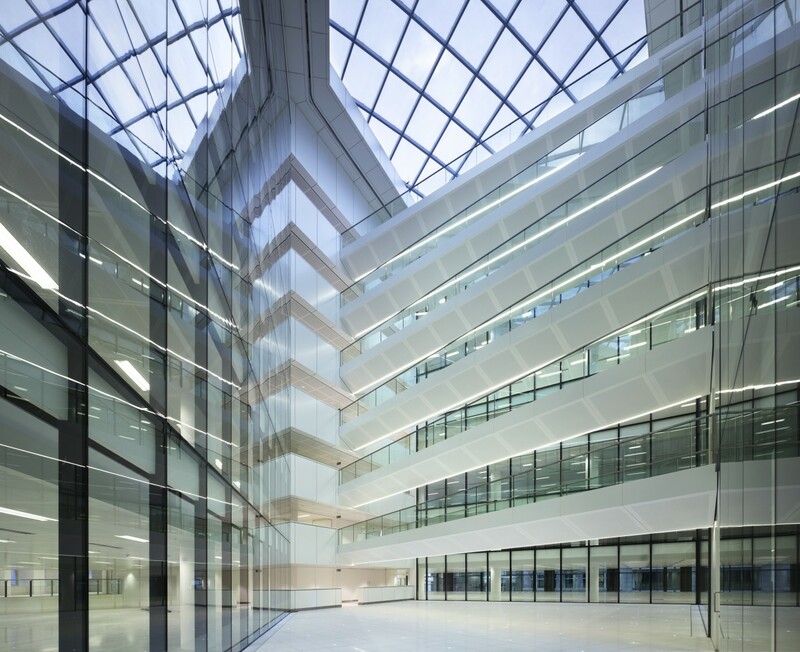 Inside the building, Grade A office spaces are arranged around the spectacle of a soaring atrium with splayed bridges across it. While Q3 also achieves the incorporation of high-end apartments at one end, the other key component has been the successful conservation and restoration in association with Donald Insall Associates, of the listed art deco restaurants within it. Q3 has been an exemplar of sustainable development. It uses a high-tech energy centre powered by a hydrogen fuel cell which converts natural gas into hydrogen, making it a highly environmentally friendly option. 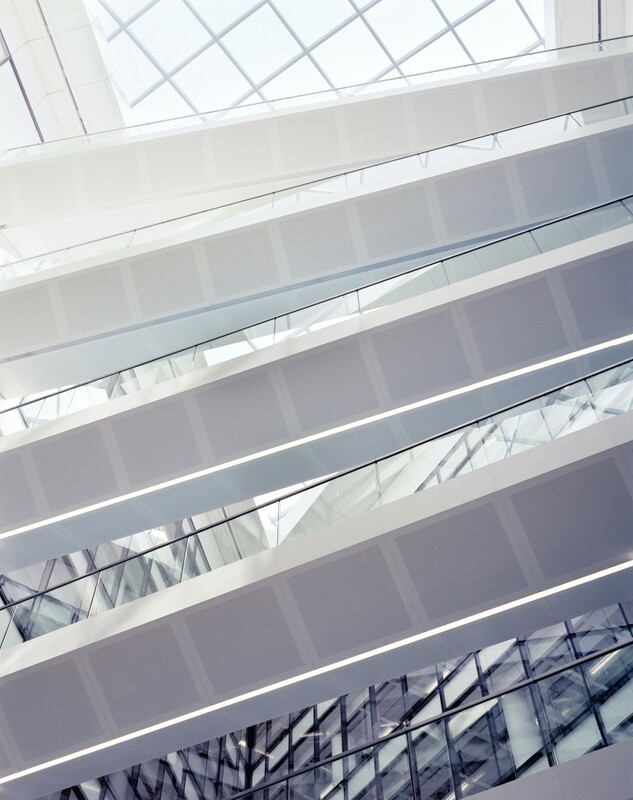 Energy efficiency measures and technologies have significantly reduced the building’s Carbon footprint both during construction and use, thus achieving the project a BREEAM ‘Excellent’ rating. It won a RIBA Award in 2013 and has won 19 other awards including Building of the Year.